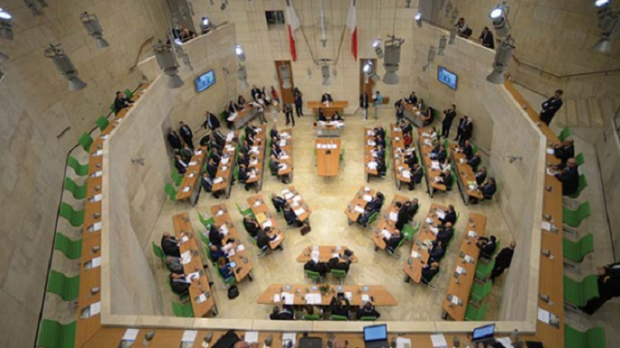 MPs have been fined a total of €4,600 for skipping Parliament in a move that has bolstered attendance, Speaker of the House Anġlu Farrugia has told this newspaper. New rules governing parliamentary attendance were approved last year. MPs who are unable to provide justification for missing a parliamentary sitting are now being fined €50. The new rules were first applied for the final House sitting before the summer recess on July 27, 2016, which attracted nearly all MPs. The Speaker said Malta was the first EU country to introduce such fines, in the first comprehensive update of Parliament’s rules since the 1960s. He said that since the fines were implemented, attendance had improved. Just over half of the 71 MPs had been fined by the Easter recess on April 12. Independent MP Marlene Farrugia has the highest bill. Dr Farrugia has been fined €550 for missing, without justification, a total of 11 sittings. In a comment to this website (see below) Dr Farrugia said most of the duties of a Parliamenterian can be carried out outside the Parliament building and outside Parliament hours. "I only attend Parliament when I can actively engage in productive work that needs to be carried inside the House like, debates, pqs or committee meetings. "I do not attend Parliament when the parliamentary work that needs to be done can be done in people's kitchens, or my own kitchen office, or any other office, during the day and before 6 pm." According to the data provided by Parliament, she has so far settled €100 worth of the outstanding fines. The Speaker said Parliament could actually institute civil proceedings in court if all debts were not settled in six months. Government MP Charles Mangion is just two weeks away from claiming the dubious honour of becoming the first parliamentarian to be taken to court over his €300 in outstanding fines under the new system. Dr Mangion, together with PN MP Chris Said, find common ground in that they are in joint second place when it comes to unjustified absences. Dr Said has so far paid €100 of the €300 he owes Parliament. Economy Minister Chris Cardona has racked up €200 worth of fines, putting him in third spot on the truants’ list. Next up are Nationalist MPs Jason Azzopardi and Michael Gonzi, who split the honours with Labour MPs José Herrera and Charles Buhagiar, all having been fined €150 apiece. It would appear that Prime Minister Joseph Muscat and Opposition leader Simon Busuttil have chosen to lead by example. Neither is listed as having been absent from Parliament without justification since the new system was introduced. The money raised from the fines is deposited into an account used for the better administration of Parliament. The Labour Party initially pledged in its 2013 electoral manifesto that MPs would be paid their €20,000 honoraria pro rata according to their attendance in Parliament.